Kristin Groop is the Education Director for Esthetic Advisor Laser Academy and SkinStylus® as well as the Director of Scottsdale Microneedling & Laser Esthetics. Kristin is licensed in the State of Arizona as an Esthetician, Esthetic Instructor, Laser Operator and Laser Instruction Supervisor. She is also licensed in the State of Washington as a Master Esthetician and Educator. She has used her passion, experience and extensive knowledge to create the most comprehensive laser, microneedling, and medical esthetics training curricula available. She is a national speaker and educator, and has been featured in several international esthetic magazines such as Les nouvelles. Kristin is the co-inventor of the SkinStylus® Microtherapy System with Biolock™ technology, the first and only microsystem that can be autoclave reprocessed. She has been researching microtherapies since 2009 and has taught hundreds of doctors, nurses, and estheticians how to safely and effectively perform a variety of microtherapies including RF microneedling treatements. Additionally, Kristin developed the EstheCeuticals® line of topicals, the first line formulated specifically for microtherapies. EstheCeuticals® provide clients the skin nutrition to achieve spectacular results at an exceptionally reasonable price. EstheCeuticals® are only sold at Scottsdale Microneedling & Laser Esthetics and by a few select practitioners trained by Kristin. Kristin maintains a busy microneedling and laser esthetics practice at Scottsdale Microneedling & Laser Esthetics. With many devoted patients and a long list of success stories, Kristin has been pivotal in developing protocols used by skincare professionals all over the world. She is considered one of the nation’s foremost experts on microneedling and is currently co-authoring an advanced microneedling textbook. “After spending seven years as the lead instructor for the nation’s largest laser training school and listening to feedback from faculty, estheticians, and the thousands of students I have taught, it was apparent that all laser training programs are not created equal. Sonja Pettersen N.M.D. is licensed in Arizona to practice primary care medicine specializing in natural therapeutics. She received her Doctor of Naturopathic Medicine from the National College of Naturopathic Medicine in Portland, OR in 1998. In 1999 she completed her residency at the same college. She is the medical director for Scottsdale Microneedling & Laser Esthetics. Dr. Pettersen’s practice harmonizes the healing power of nature with the modern day demands of her patients. Her practice exemplifies a holistic approach to patient care through a variety of modalities including Frequency Specific Microcurrent, European Drainage, clinical nutrition, botanical medicine, I.V. therapy including chelation, homeopathy, functional medicine, hyperbaric oxygen therapy, Ortho Bionomy and mind-body techniques. 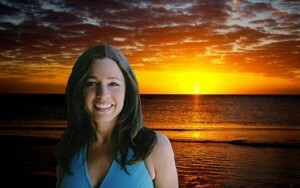 She is also a Certified Hypnotherapist and Neuro Linguistic Programming practitioner. Since 1997 Dr. Pettersen has trained over 300 health-care practitioners in Frequency Specific Microcurrent, a revolutionary technique for healing damaged tissue through frequencies.